Firm: Tremont Sheldon Robinson Mahoney P.C. Douglas P. Mahoney is a former President of the Greater Bridgeport Bar Association. He was selected by the 2009 and 2010 publications of Connecticut Super Lawyers® as one of the top 50 lawyers in the State of Connecticut and is AV Rated by Martindale-Hubbell (the highest possible rating for a lawyer). 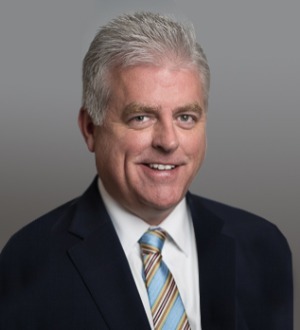 He presently serves as an officer for the Connecticut Trial Lawyers Association, as well as a member of its Executive Committee and Board of Governors. Mr. Mahoney has lectured on topics concerning trial practice, personal injury, and underinsured motorist law to attorneys around Connecticut. He is a member of the Standing Committee on Recommendations to the Bar in Fairfield County. He sits as a Special Master for the Connecticut Superior Court. Mr. Mahoney has been Board Certified as a Civil Trial Specialist by the National Board of Trial Advocacy since 2001. In 2006, his victory in the case of Estate of Blackwell v. Seymour, et al was selected by the national publication Verdict Search as the "Verdict of the Month" for the entire country. The American Board of Trial Advocates has also selected Mr. Mahoney into its membership, which is limited to the top trial lawyers in the community who are vigorously engaged in civil litigation. He has been recognized by the Best Lawyers in America® as one of the top personal injury attorneys in the country. Mr. Mahoney represents persons injured in a variety of ways. He has tried jury cases including automobile and motorcycle accidents, premises security, uninsured motorist cases, assaults, negligence by police officials, construction accidents, pedestrians struck by automobiles, errors committed by insurance agents, bars who over-serve alcohol, and premises liability. He has represented victims of sexual abuse and has argued cases before both the Connecticut Appellate Court and the Connecticut Supreme Court. This lawyer is compensated by clients, often based on a contingency fee.